Lauri Love, known For hacking US government computers will not be extradited. The British hacker Lauri Love was arrested in October 2013 for hacking high-profile targets in the United States including government computers. on September 16, 2016, however, a Westminster Magistrates’ Court judge decided to extradite Lauri from the United Kingdom to the United States to face charges where he could face 99 years in prison. 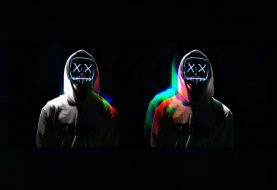 Lauri who suffers from Asperger’s Syndrome, a mental health condition, which is categorized as a form of Autism was accused of hacking US government institutions including NASA, FBI, US Army, the department of defense, the US Federal Reserve, US Central Bank, Missile Defence Agency, Department of Health and Human Services and Department of Energy between 2012 and 2013. Since Lauri was accused of targeting US government, the authorities back in the States were seeking his extradition to face a trial which could lead to a lengthy 99-year prison term. But, after today’s decision the, chances for that are zero. Love, on the other hand, told BBC “he is very thankful for all the support and hopes he has set a precedent so this will not happen to people in the future”. This is not the first time when extradition of a British hacker to the United States has been rejected. In 2012, Theresa May (Home Secretary at that time and currently the Prime Minister of the United Kingdom) blocked the extradition of 51-year-old Gary McKinnon, the UFO hacker to the United States since he was diagnosed with Asperger’s syndrome. 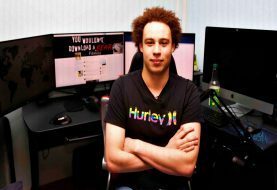 When it comes to Marcus Hutchins, a British hacker and security researcher things are a bit different. Hutchins came in news after identifying the KillSwitch for WannaCry ransomware and stopped it from spreading further saving the online word from one of the nastiest ransomware campaigns. Hutchins is currently on bail in the United States after he was arrested by the FBI in Las Vegas while catching a flight back to the United Kindom.Hutchins was in the States attending BlackHat and DefCon security conferences; however, authorities accused him of developing and distributing the Kronos malware that stole banking credentials from users in the United Kingdom and North America. The shocking fact reported by The Sunday Times revealed that GCHQ (The Government Communications Headquarters), British intelligence and security agency knew that the FBI would arrest Hutchins anytime he enters the United States. “Our US partners aren’t impressed that some people who they believe to have cases against [them] for computer-related offenses have managed to avoid extradition. Hutchins’s arrest freed the British government and intelligence agencies from yet another headache of an extradition battle,” The Sunday Times reported.